Pioneering aviators used cotton-covered (canvas) flying surfaces for their manned gliders and early powered flight designs. In fact, Neil Armstrong carried a small swatch of canvas from the wing of the famous 1903 Wright Flyer as he walked on the Moon. We owe a lot to this incredibly versatile fabric…canvas has enabled mankind to achieve the impossible. When searching for a perfect substrate to print our aviation and military art on, it was no surprise to us that canvas came through again! Canvas is best. Even the highest quality photo paper over time can be susceptible to moisture, settle and become warped behind glass. The durability of our canvas prints are great if you frequently move or have children, because there’s no glass to break. 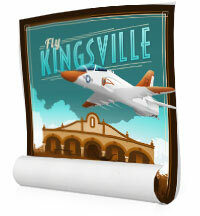 Our Canvas Wraps and Framed Canvas Posters are guaranteed not to warp in humid environments or direct sunlight. 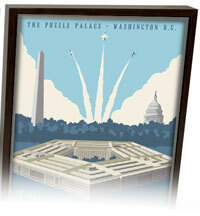 We make our selection simple, they all come in canvas: rolled, wrapped, or framed. NOTE: Large 32×48 regularly $248.00 on sale for $199.00 Jet Black Wide 20×60 $199.00 and 36×12 $124.00. Note: We are unable to ship the 60 x 20 size to standard International addresses and the 60×20 or 32 x 48 size to PO Box addresses. We CAN send these sizes to APO/FPO addresses. All APO / FPO and International orders can take 20-25 days to arrive. Printed on the same genuine artist-grade canvas you’ve come to love. Rolled Canvas prints are the D.I.Y. method of making beautiful artwork. We highly recommend either canvas wraps or framed prints (below) as they don’t cost anymore to ship and arrive ready to hang. Note: these are not cheap disposable “paper” posters made on copy machine paper. We use only the highest quality and durable artist’s grade canvas material that looks amazing and is more fitting for military and long term use. Your canvas will always look as tight and flat as the day it was made. Every frame is built with a solid face to support the canvas and keep it from deforming and loosening. Genuine Artist Canvas with durable 1-1/4″ depth construction. We use Custom Archival inks with UV Protection and shot by a hi-definition Eight-Color Commercial Printer. Our canvas wrap prints come with a mirror edge wrap. If this is not your style then we recommend our framed canvas standouts (below). 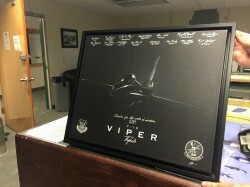 “Midnight Raid” Satin Black Frames. 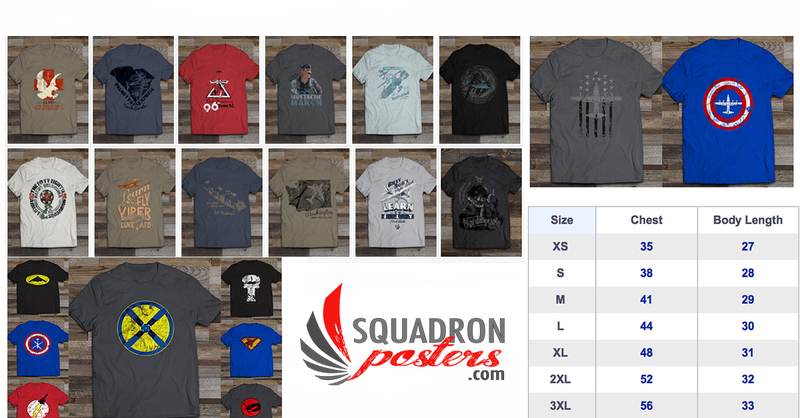 All Squadron Posters new artwork is either created in High resolution or are digitally remastered vintage reprints so they really POP with high resolution, durable canvas. You’ll love the quality! Ground Shipping: Free to U.S. lower 48 states (CONUS) and APO/FPO addresses. Delivery: All U.S. States 6-9 days, APO/FPO and International *25 days. Rush shipping: Available in the U.S. only, 3-4 days. Poster art: Canvas wraps and rolled posters are delivered via UPS within the U.S. with the exception of: AZ, CA, CO, ID, NV, OR, UT, and WA which will deliver via OnTrac. Books: Delivered via USPS “Media Mail” and can take approximately 2 weeks to arrive within the U.S. 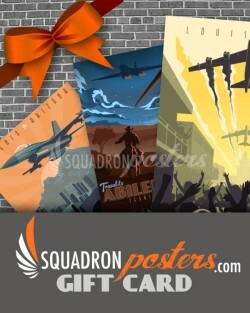 Rolled posters, Canvas wraps, Framed posters, Shirts and Books: Pack and ship separately. APO/FPO and International: Delivered via Mail Innovations. *(Typically it takes 25 days to deliver to most international and APO/FPO addresses. However depending on the country, customs, and other factors, we have seen some deliveries take up to 45 days.) Tracking information will pause while on-board the ship heading to it’s overseas destination. How to order to an APO / FPO address: When in checkout: Select “United States” as the country, then select the applicable “Armed Forces (AA, AE, or AP)” as the State – (you will find this at the bottom of the state list). Use “APO or FPO” for the City and the specific “PSC and/or Box address” designation for the address, and specific zip code. Newly Designed Commissioned Art: Takes 3-5 days to set-up newly created art for printing (this is a one time event on newly created art only), once set-up the printed artwork will ship via the methods chosen above. 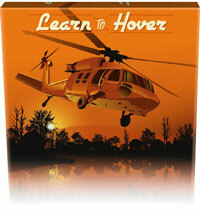 Design pending, Looking for a custom General Aviation plane/model design. I want to ship to the Big island Hawaii, Kona side. zip code 96740.
its unclear to available APO/FPO addresses on the island? please confirm available addresses.